Can I password protect my page? Go to your My Profile on the left and select public settings. Check the box above Make my profile public under Public Settings. 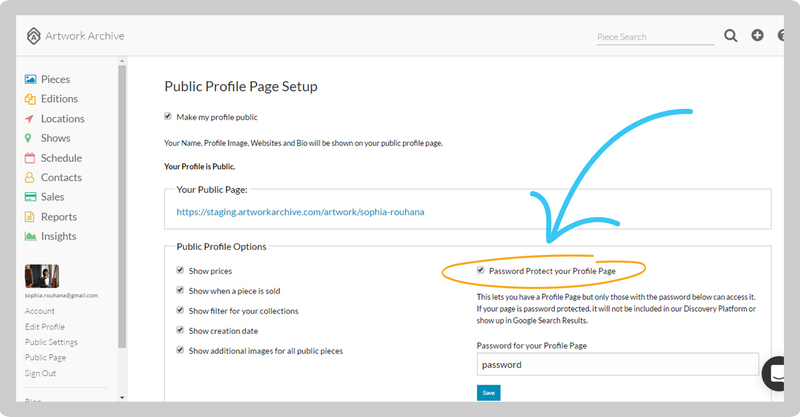 Scroll down to Public Profile Options and check the box above Password Protect your Profile Page in the upper right-hand corner. Enter a secure password and hit Save. You can now share your profile with select patrons, galleries or clients by sharing the password with them.